Jeffrey A. Maroney of Maybrook, NY passed away Sunday, November 18, 2018, at home, with his wife and brother by his side. He was 50. The son of Jacqueline Maroney Bukovac, he was born October 24, 1968 in Los Angeles California. Jeff worked as a radiology nurse for Crystal Run Healthcare and was also owner/operator of ALM Leak Detection. He took part in forming an international alliance for divers, Anything Under Water, New Paltz, NY. He was a veteran who served in the Army and the US Coast Guard Reserve. He loved flying as a private pilot, boating, snowboarding and scuba diving, and was an avid supporter of the Boys Club of America. 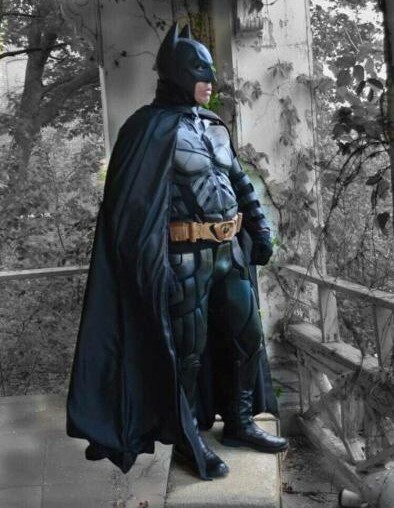 He touched the lives of many children as BATMAN and was loved by all who knew him. Visitation will be Sunday, November 25, 2018 from 1-3 pm and 6-8pm at Millspaugh Funeral Home, 22 Bank St., Walden, NY 12586. A funeral service will be Monday, November 26, 2018 at 10:00 A.M. at the funeral home.